Food plays a vital role in our lives, especially when we take to the backcountry. Learn what gives you energy, builds strength, keeps your immune system strong, and minimizes cranky moments. NOLS expert Mary Howley Ryan explains the nutrients you need in the backcountry, why you need them, how much you need, and where to find them in wilderness foods. Included is info on how to adjust for special environments or special diets and how to deal with illnesses. 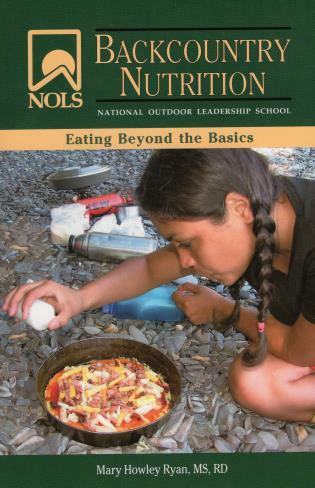 For recipes and more specific help with menu planning, NOLS Cookery is an excellent companion to this field guide. Mary Howley Ryan, MS, RD, is a dietitian and an accomplished backcountry cook. She lives in Jackson, Wyoming.